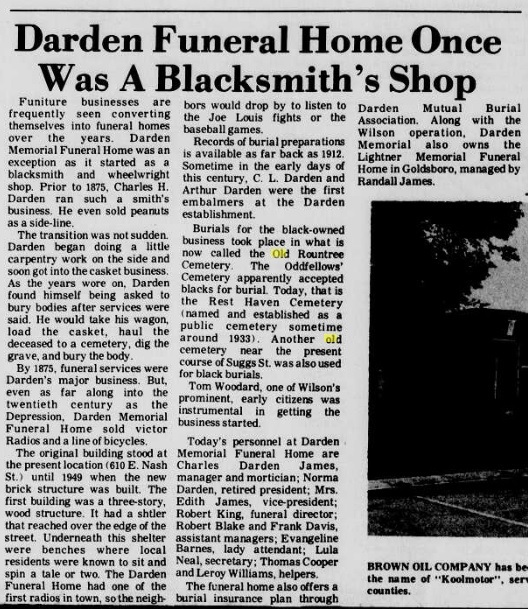 The history of Darden Funeral Home. Wilson Daily Times, 2 July 1976. “Records of burial preparations are available as far back as 1912”? Where are they now?